One Bun, Three Ways: A Step-By-Step Hairstyle Tutorial A La Kajol And Neha Dhupia! The easiest way to get your hair off your face and neck while still looking chic is a high bun. 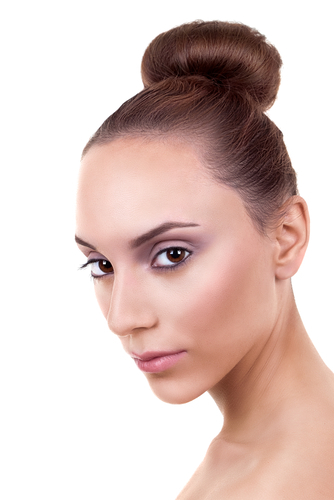 The humidity is sometimes not kind to your hair and a simple high bun would be your best bet instead of a ponytail. 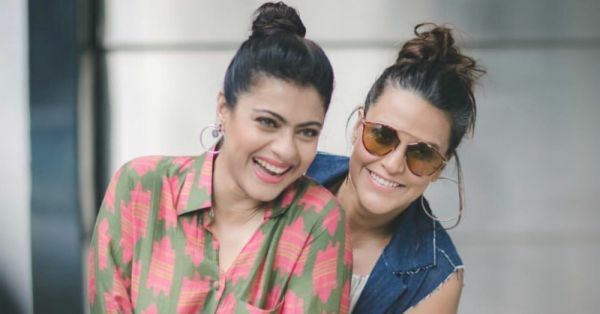 Inspired by Kajol and Neha Dhupia's recent appearance (and also because we are all hairstyle fiends here), we thought of putting down three separate ways to get a similar looking high bun. These tools are what you'd need to create any of these hairstyles. This one is the easiest one to do. Tease the base of your crown. Gather all the hair at the highest point on your head (or wherever you want the top knot to be). 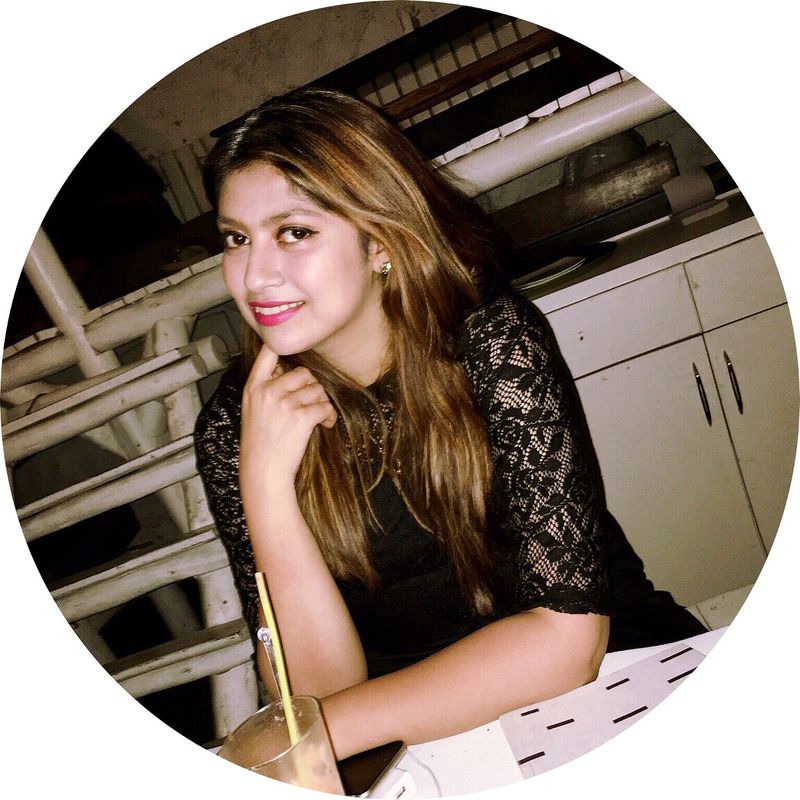 Twist the hair till the end and wrap it around itself and secure with a hair tie. If you have some wisps coming out, leave it. The messier the better! Bring all your hair together in a high ponytail and secure with a hair tie. Do a regular braid until the end of the ponytail and secure with another hair tie. Wrap the braid around the base of the ponytail and tie it all together with a hair tie. Alternatively, you could use bobby pins to invisibly secure the bun. Comb all your hair together and secure into a high ponytail. Now, take your hair through the hole in the doughnut bun maker. Spread the base of your ponytail over the doughnut bun maker, completely concealing it and tie with a hair tie. 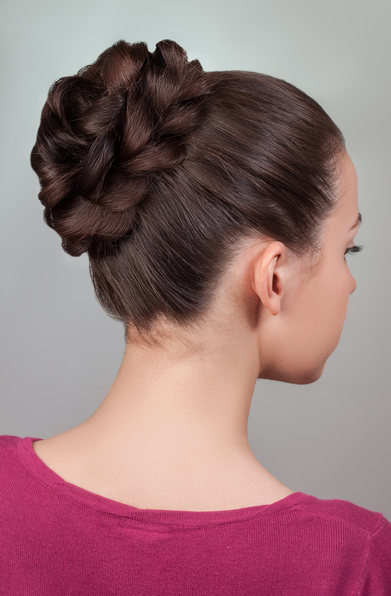 Wrap the rest of the hair around the bun and secure the strands with bobby pins. Spray some hairspray on the bun and at the roots to make it look neater. Well, there you have it, one bun, three ways!